This guide provides print and electronic resources for finding data and statistics in health and medicine. From the preface of the Report: "The Health, United States series presents an annual overview of national trends in health statistics. 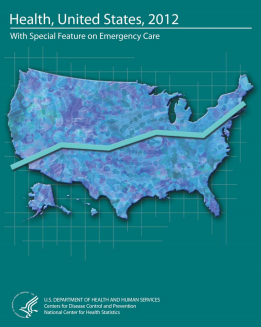 The report contains a Chartbook that assesses the Nation's health by presenting trends and current information on selected measures of morbidity, mortality, health care utilization, health risk factors, prevention, health insurance, and personal health care expenditures." Data.World is a social network geared toward helping researchers find collections of data. On the inside, Data.World looks a lot like Facebook. Each user gets a profile with a picture and their name and the ability to upload data sets. There is also a “feed” component. Rather than people, Data.World allows users to follow specific data sets. If you have questions on how to use this site, please email help@data.world. Data are facts on people, places and business collected in censuses and surveys and through administrative records (e.g., birth certificates). The results released based on these data collections are often called statistics.